My MIL makes a wicked strawberry shortcake. It may have been that cake that convinced me I should marry her son :-) I love it, and some time ago, got the recipe off her. I have been meaning to make it for a while now, but never got around to it. Last week, I had a box of strawberries waiting to be eaten, and I figured, I should finally make that shortcake. So, that morning, I told Aditi that we would have strawberry shortcake for dessert that night. Her face just crumpled, and she was almost on the verge of tears... I was a bit worried there. So anyway, after all this palaver, I gave up the idea of strawberry shortcake, and decided I would use up the last mango in the bowl and make mango shortcake instead. 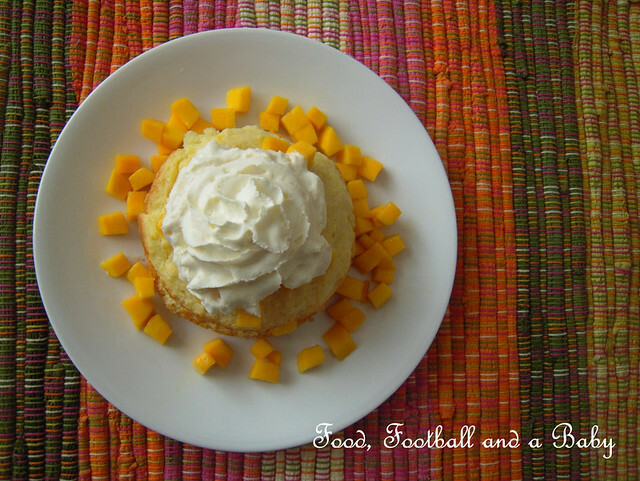 I used the shortcake recipe that MIL gave me, and served it up with cubed mango and whipped cream. MIL makes her cake in a square tin, and slices and layers it in squares. I made mine in a round 9 inch cake tin, and a smaller one in a mini round tin, so I could decorate it all pretty like. 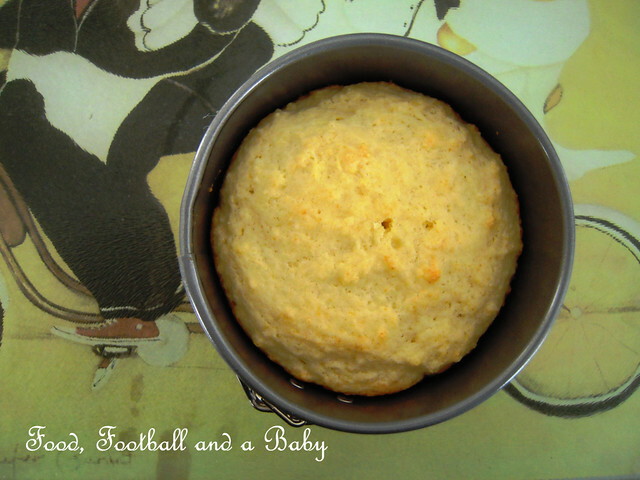 You can make it with whichever tin you have on hand. Sift dry ingredients together 3 times. Rub butter into dry mixture. Beat egg, add milk to egg and mix. Mix egg and milk mixture into first mixture very lightly. Put in lightly greased 8 inch square pan and bake 15 minutes at 350 F (175 C). Let cool. Whip the chilled cream with the sugar, until it holds soft peaks. Slice the shortcake, and then slice in half horizontally. Put the cubed mangoes or any other fruit between layers. 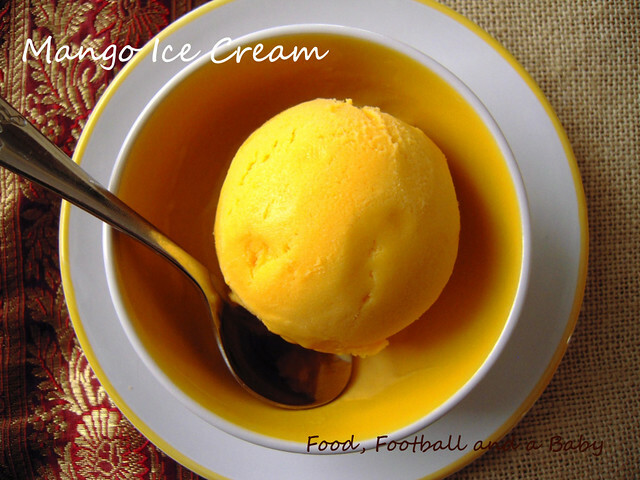 Top with more mangoes/ fruit and whipped topping. What an adorable story! I didn't realize Strawberry Shortcake was still on, she is getting long in the tooth for sure! The cake looks delicious. I will try it, I have strawberries all cleaned and macerated. Yumm! Im just waiting for the Alphonso prices to come down a bit so that I can bite into this luscious fruit and then I will try this cake, great post, lovely pics Michelle! such a sweet story!... bless Aditi... such innocence! 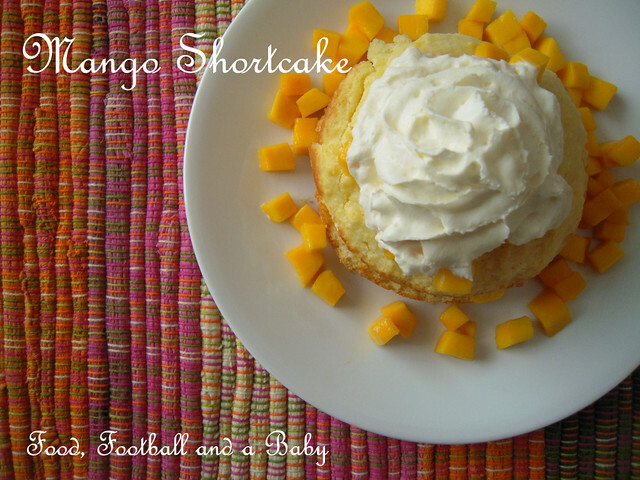 I love shortcake, this is such a great recipe for me, combined with your passion for mango, it's excellent! That looks absolutely amazing! I must make it!